The dose is fine, as I describe in this blog post. Greetings Dr Peterson. 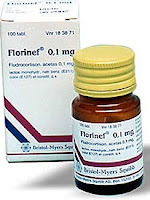 We are having great difficulty in our country getting hold of prednisolone or prednisone tablets for that matter. 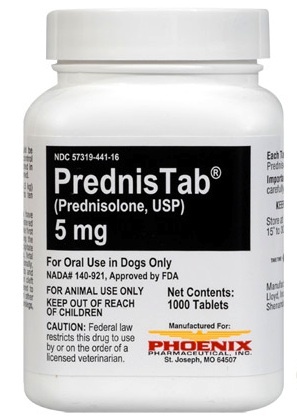 My dog has been on prednisolone 3mg for 2 years now and very stable.The only alternative available to our vet for now is the prednisolone sodium phosphate in liquid form. Would this be OK to use and just swap over? And would we still give him the equivalent dose of 3mg but in ml conversion? Pouring over your comments to other posters has been incredibly helpful. Our dog was just diagnosed 5 days ago. Electrolytes were fine but ACTH test confirmed Addison's. Our vet prescribed her 20mg Prednisone for 1 week, then 10mg for 1 week and finally reducing to 5mg. After doing some research and noticing PU/PD symptoms, I called him to ask if we should reduce. He gave me the okay to reduce to 15mg for 2 days and then down to 5mg. A day and a half into the reduction to 15mg and she has severe diarrhea. Could this be a symptom of too much Prednisone? She's eating and drinking but energy is a bit low. We are scheduled to go back to the vet tomorrow but I have lost a bit of confidence after researching and seeing that the dose prescribed was likely way too high. Does it sound like I should seek a second opinion? Thank you for your help. Diarrhea could be due to prednisone. No reason to start so high, especially with atypical Addison's. 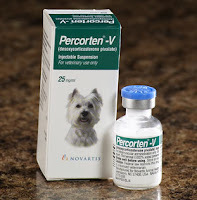 The dose should be based on body weight and no more than 0.2 mg/kg per day for most dogs. Many dogs do well on 0.1 mg/kg per day or even a bit less. Another opinion may be needed. If you don't know, divide the weight in lbs by 2.2 to get weight in kg. But no dog needs a maintenance dose more than 5 mg, which is the human dose. Thank you for your reply. It's very kind of you to take the time to reply to all of these questions. Hello, my dog was diagnosed during a crisis with Addison's disease on June 8, 2017. She is a 6 year old, 55 lb. Labrador retriever. ACTH test was used. 2 weeks later, after receiving Percorten injection on June 9, 2017, she was rushed back to emergency, this time with pulmonary edema. She was diagnosed with congestive heart failure, which they believe was brought on by Percorten shot with an underlying undiagnosed heart valve condition. Now she takes 10 mg. Pimodendan, 60 mg Lasix (furosemide) and 2.5 mg prednisone daily. We have had several blood tests, but her electrolyte levels have remained steady and not a level for concern (sorry I don't have the numbers). Internal medicine vet wants us to test blood weekly to keep checking electrolytes so we know when to introduce Florinef (they do not want to use Percorten on her again) but honestly, I can't afford to keep doing that. Our local vet said "wait a month" but that seems kind of long and we don't want her getting sick again. She seems to be doing quite well right now. My question is, if we wait on next blood test, are their symptoms we should be looking for that may indicate a change in her electrolyte levels? She never did vomit when in crisis, but was lethargic (and had been for a while leading up to crisis) and during crisis stopped eating...we just don't want to wait too long for a blood test till she is sick, but can't really afford to do them weekly either. Thank you. Never heard of Percorten inducing heart disease. If this were my dog, I'd start a low dose of Florinef now (0. 4 mg or so per day). Then you can raise the dose in a month or two as needed. Have you seen a cardiologist -- that's what you need to help figure this out.